If you’ve ever read any of my meal plans you’ll know that Mexican food is a staple in the Hogg household. It features every week, if not multiple times! Unfortuneately for me, JHogg can be just a bit fussy. He doesn’t really eat any veg, and can be extremely fussy about things like onions and tomatoes. Because apparently he is still 5 years old. Over the last few years I have played around with chilli until I have come up with this combination – which JHogg refers to as “my chilli”. Thick and warming, it really hits the spot one any occasion! 1 Onion (chopped) – since JHogg refuses to eat anything with onion in it, I use dried onions. They disintegrate so he can’t tell they were there, but still give lots of flavour. Add the onions, mince and garlic to a large sauce pan. Fry for around 5 minutes, breaking up the mince regularly. Once the mince is cooked, add the chilli powder, cumin and coriander, and fry for a further 2 minutes. Add the flour and stir well. Add the tomatoes, stock cube and beans, then give it a good stir. Add the tomato puree, then bring it up to a simmer. Pop the lid on and leave it on a low heat for around 30 minutes, stirring occasionally. Serve with rice, sour cream and cheese for a filling dinner. Use tortilla crisps, guacamole, sour cream and cheese to make nachos. Top a baked potato for a tasty lunch. This post is in collaboration with Cirio and I received a selection of items to try. We love a good chilli here. We never even ate it before Max started weaning. I can’t believe you didn’t have it until he was weaning! Sounds delicious! Made all the better by Cirio tomatoes – the absolute best in my book. They have such a lovely flavour! This chilli is actually haunting me at the moment – all I want is a block of cheese. Stealing this for our menu this week! 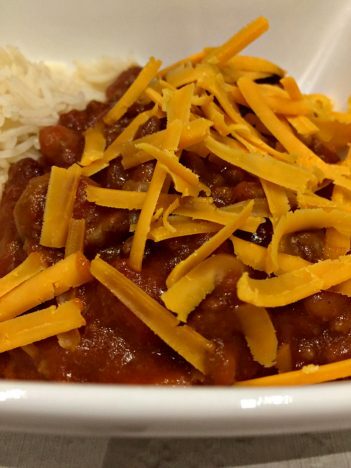 Can’t beat a good sprinkle of cheese on your chilli! Ooh can’t beat a good chilli!! This reciepe looks great! 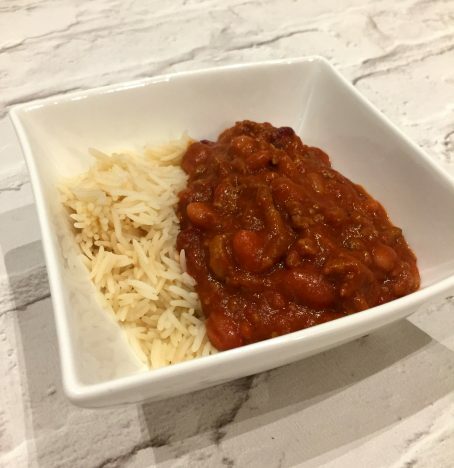 We tend to have chilli at least once a fortnight. 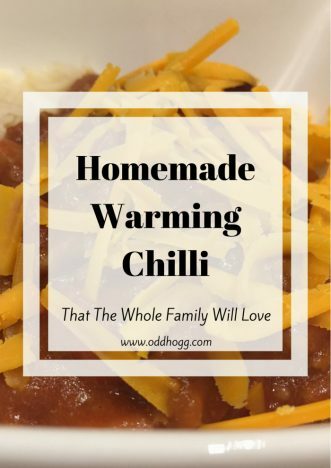 I LOVE chilli, we used to have it all the time until the kids started moaning about it being too “Spiky”. 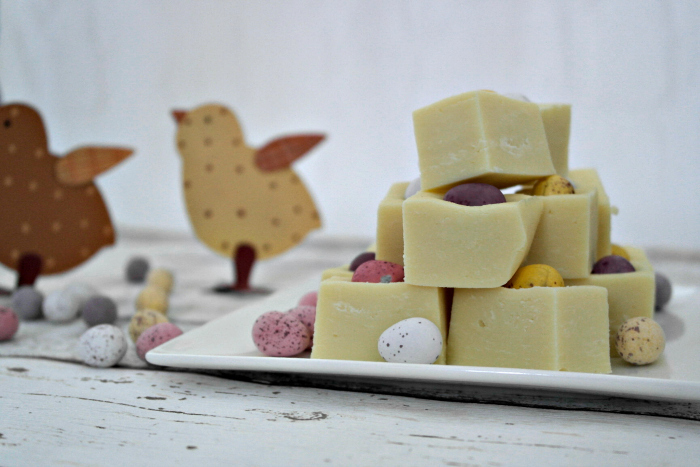 I’m going to make one this weekend, and if the kids don’t like it I’ll eat it all myself! That’s my tea sorted for tomorrow! I love chilli!! So simple but super yummy! Oh this looks soooo yummy! The beans are a really tasty addition to chili. I have difficult eaters in my house too! I’ll have to give this recipe a try, thanks for sharing!